Local New York based agency is excited to offer $1 for every quote issued in July towards Stupid Dumb Breast Cancer in honor of Cancer Survivor Month. New York insurance agency, Schmutter, Strull, Fleisch, Inc. is excited to announce the launch of Cancer Survivor Month. National Cancer Survivor Day takes place June 1st, Schmutter, Strull, Fleisch, Inc. has dedicated the month of June to celebrating cancer survivors and raising money for a local cancer charity, Stupid Dumb Breast Cancer. Maura Philipps, the wife of Keith Philipps, partner of Schmutter, Strull, Fleisch, Inc., faced her own battle with breast cancer and holds a special place for this charity, as well as helping all survivors and those battling cancer today. Maura documented her story in a blog on the agency's website and has shared the stories of 12 other survivors in an effort to raise awareness and are adding more every day. In the month of July, Schmutter, Strull, Fleisch, Inc. will donate $1 for every insurance quote they issue. The agency’s website has several easy quote forms for many of their personal and commercial insurance products, making filling out a quote form and helping the cause simple. To donate, learn more about Maura’s journey or the other survivors, visit http://www.ssfinsurance.com/. In addition to their fundraising attempts, Maura’s personal connection with an online support group, Pink Sisters, has also worked to raise awareness. The Pink Sisters have recently written over 200 letters to the Ellen Show. The hope is to bring all the sisters together in one place and share their stories for a larger audience. The Pink Sisters have also produced a YouTube video and look forward to introducing their blog about this great adventure soon. Stupid Dumb Breast Cancer has been promoting awareness, early detection and advocacy for those affected by breast cancer since 2012. The organization specializes in how the disease affects young people, men and women. Ann Marie Giannino-Otis, the organizations creator, has helped to contribute over $50,000 to various breast cancer organizations including Duke Hospital, CancerConnects, and Stand Up to Cancer. The organization also sends out bravery bags to those headed into surgery, containing items to help the patient be more comfortable after surgery and lift spirits. For more information on bravery bags and Supid Dumb Breast Cancer, visit their website at http://www.stupiddumbbreastcancer.com/. 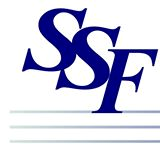 Schmutter, Strull, Fleisch, Inc. has been providing quality insurance coverage to the people of New York since 1894. The full service insurance brokerage has over 100 years of experience and focuses on diversified commercial, non-profit, and personal clientele throughout New York and Northern New Jersey. The agency prides themselves on their cutting edge technology, prompt and professional service, and a breadth of insurance expertise no matter the needs of the client.